While President Donald Trump has maintained his silence following the completion of Special Counsel Robert Mueller’s investigation, former members of the president’s campaign team have gone on the record. Though Attorney General William Barr has yet to release a summary of what is contained in Mueller’s report, it was reported on Friday that Mueller was not recommending any other indictments in connection to his two-year investigation. In response, Trump’s former campaign manager Corey Lewandowski said the president has been vindicated by the report, which many had hoped would provide enough evidence for Congress to begin impeachment proceedings against the president. 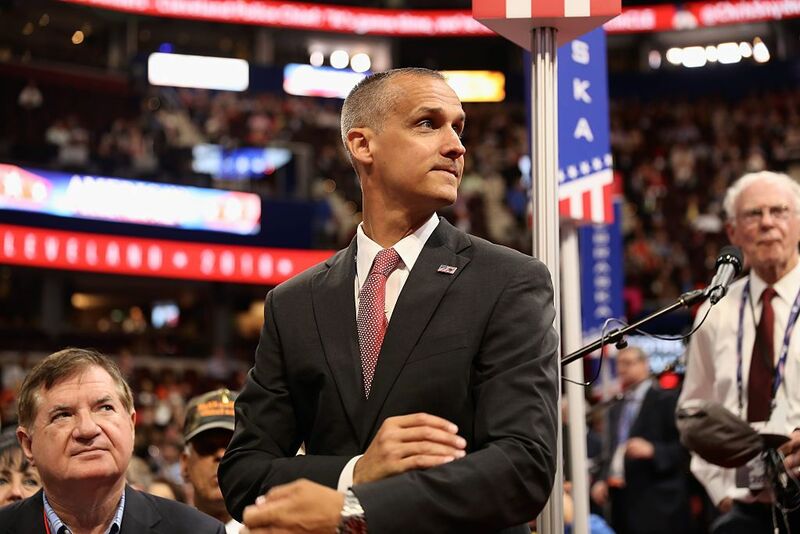 “This is a vindication for the president and his family that after one year, 10 months and six days the Mueller report is concluding something which we already knew, which is there was no collusion between the Trump campaign and the Russians,” Lewandowski told The Washington Post. Lewandowski repeated a similar statement during a Saturday morning appearance on Fox News Channel’s Fox & Friends, saying, “the walls are not closing in and this is a clear vindication” before joking that the New York Times had apologized to Trump and his family in Saturday morning newspaper headlines. “I’m very, very ready to see the apology from all those leftists, all the socialists who accused us of crimes when the real crimes that were perpetuated were against us because of our political beliefs,” Lewandowski said. Swalwell added that “it was just a matter of time” before Americans would see the report, despite a continued debate on how much, if any, of Mueller’s work will be legally available to the public. “The American people will see every word, every comma, every period of this report. The president is outnumbered now in a way he was not before. We have the subpoena power and we have the precedents of the judiciary, so it is just a matter of time. But the American people gave us that power by giving us the majority, so we will see that report,” Swalwell said. In an interview with CNN, Schiff said the House Intelligence Committee, which he chairs, would call Mueller and others involved in the investigation to testify before the committee if that was necessary in order to see the report. “At the end of the day, the department is under a statutory obligation to provide our committee with any information regarding significant intelligence activities, including counterintelligence. And it’s hard to imagine anything more significant than what Bob Mueller has been investigating,” Schiff said. Another former adviser to the president, Steve Bannon, told the Post in an email that he expected Trump to “come ‘off the chain'” now that the report was finished. “[Trump will] weaponize Mueller report to bludgeon Democrats. Expect him to come ‘off the chain,'” Bannon said. On Saturday, Speaker of the House Nancy Pelosi said she would reject attempts from the Department of Justice to confine the information in Mueller’s report to classified briefings. Among the president’s family, the reaction has largely not been made public. Donald Trump Jr., the president’s eldest child, spent some of Friday afternoon retweeting various pro-Trump messages and stories from conservative media outlets, sometimes using the hashtag CollusionTruthers. The Post reported that Trump appeared to be in a good mood as he spent the weekend at his Mar-a-Lago resort in Florida. On Friday evening, he had dinner on the patio with first lady Melania Trump and his youngest son, Baron, who recently celebrated his 13th birthday.